David Hoffeld is the CEO and chief sales trainer of Hoffeld Group. He’s pioneered a revolutionary sales approach based on neuroscience, social psychology and behavioral economics that radically increases sales. 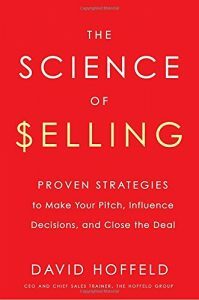 In fact, if you are looking for someone who bases sales strategies on scientific evidence, David literally wrote the book on it. He is the author of the groundbreaking book The Science of Selling, published by Penguin Random House. 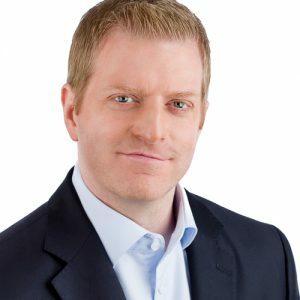 A sought-after sales thought leader and speaker, David works with small and medium businesses to Fortune 500 companies showing them how to align their sales behaviors with how the brain naturally forms buying decisions. Because of the results his insights generate, David is a sales and leadership contributor to Fast Company and has been featured in Fortune, U.S. News and World Report, The Wall Street Journal, Harvard Business Review, CBS Radio, Fox News Radio, and more.